What happens when your soul mate is a 450 pound low land mountain gorilla? Can a brief glance lead you to your heart? Is it possible to find your destiny right around the corner? 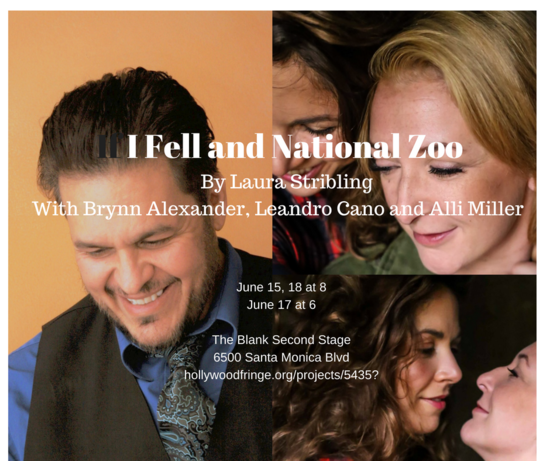 National Zoo and If I Fell, two short plays written and directed by Laura Stribling, explore the chance encounters that change our lives. Starring Brynn Alexander, Leandro Cano, and Alli Miller.